Now I have to admit, while I love design, writing about design, window shopping design, taking photos of design, I really have never "designed" my ideal wedding.The only wedding thing I have ever really bookmarked was when I tore out a wedding ring from a magazine years ago because I thought it was so pretty. (And guess what, that's the ring my sweet guy got for me! Seriously, it was a total surprise and I still can't believe it!!) 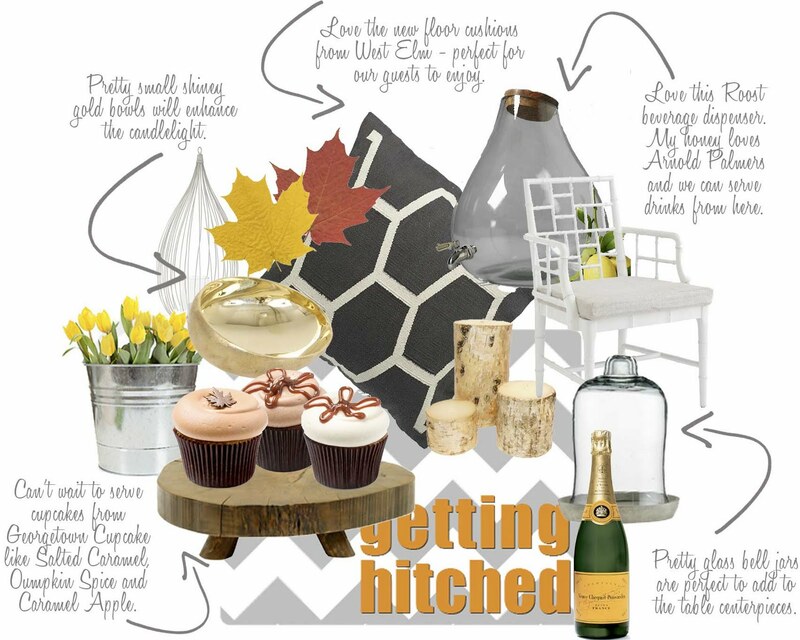 So now I am looking at planning my own wedding and I think I am getting into it now. I approached the planning the same way I love with a small space - what do I *love* about it? How do I want to *feel*? So so so incredibly excited and happy for you! Love those all of those colors! I can't wait to see the wedding recap.